Krissys Creations: Winner,winner chicken dinner!!! 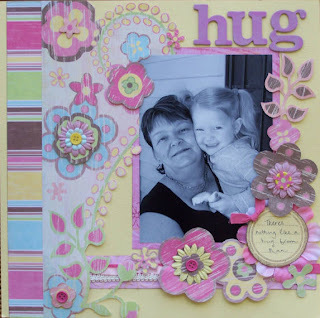 Yippee I just found out that I won a prize from Jules and Kate on their blog challenges!! !happy dance! !I love both these blogs by these two lovely ladies and they have fandabbydosey challenges every month! !Check them out!! !Okey dokey I've not heard anything about the DT entries I've sent (yet)so my fingers are still firmly crossed LOL......but I have uploaded my entries at mystical scrapbooks so anyone who is interested can pop over there and have a lookie at my LO's and the other gorgeous LO's that are trying out in the mystical masters.Holey dooley there are alot of names on the tryout list :O and the ones I know Terri and Manon are both exceptional scrappers so its gonna be a tough one for sure!! !But its all good fun :) No walkies for me today I've cleaned my house,offered a shoulder to cry on to my friend,done some washing and now feel a head cold coming on......:( its been threatening for days so it'd be right that I get it the day before I go to mum and dads *rolling my eyes at myself* This is my LO for this weeks sketch at CIS I created the LO at the brisbane CISters crop day :) Love this photo of Mum and Morgan.....I didn't notice the big piece of focaccia Morgan was holding until after LOL!!! This turned out beautifully Krissy. It was amazing watch you create it. Good luck with your DT applications ~ go girl! !